Please note the change of location for our event on Sunday. 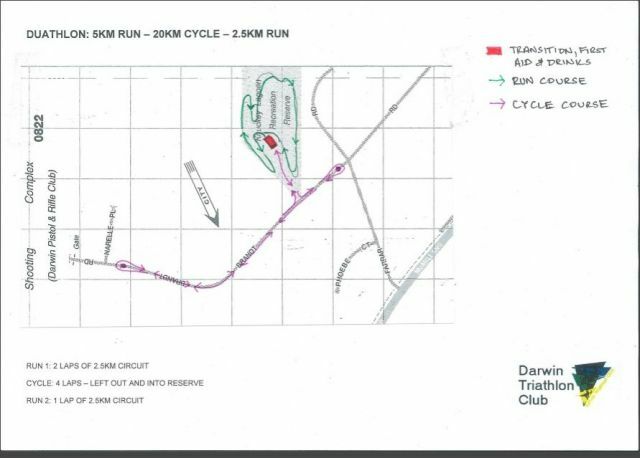 With Dripstone Park and surrounds under reconstruction, president Tony Cox has been busy behind the scenes gaining permits and making the necessary changes to sanctioning etc to enable the move to Knuckey Lagoon Recreation Reserve - details below. Work is progressing on our new event calendar for 2016 | 2017. We hope to have that finalised soon. In the meantime there are a zillion dry season events coming up. Enjoy! Great to see we already have a number of people taking up the new member offer. This will allow them to participate at our event on Sunday as well as having valid membership to 30 June 2017. If you know someone who has been wanting to join, now is the perfect time to encourage them to do so. New members, please feel free sign up and/or to share this link. Note to current members - your membership renewal date is not until 1 July 16 (either auto renew or manual depending on how you have set your renewal options). 1. Clare McVeity has handed in her timing chip and headed "down south" for an extended stay. We wish Clare all the best with the move & new position. 3. Wishing Moira Wigley smooth water as she competes in the Green Island Swim tomorrow. 4. 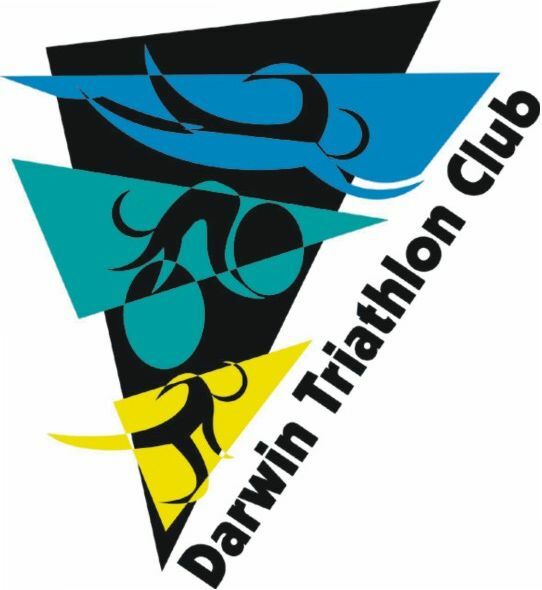 Good luck to our members lining up at Ironman Cairns including Ali Fitch, Lucy Thompson, Jac Crofton, Marcus Lisle, Tim Green and Sarah Collins. 5. In Ironman 70.3 Cairns we have Sarah Jones, Corinne Fabian, Sally Broadley, Jessica Fell, Graeme Parsons, Moira Wigley, Robson Bond, Cherie Whitbread and Leanne Fidler among those on the start list. Good luck! 6. Also on Sunday Stef Puszka and Billy Lynch line up at Ironman 70.3 Japan. Have a good one! 8. No results up yet, but we had members in the Swimming NT Open Water Swim at the weekend. 9. Hearing some speedy averages are being maintained in the Saturday morning rides. Must mean Gran Fondo is coming up. 10. 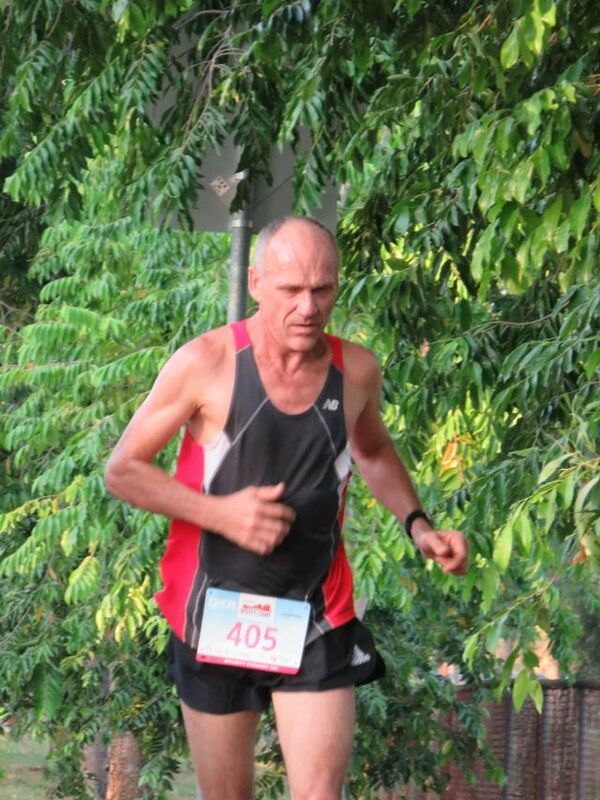 Tim Green is using his Ironman Cairns training to raise funds for Beyond Blue. He is getting close to his target amount and it would be great to help him reach that before race day this Sunday. You can read his story and make a donation of any size here. 12. One of our juniors, Kyle Farrier knocked over the City 2 Surf in 1:04:39 well done!